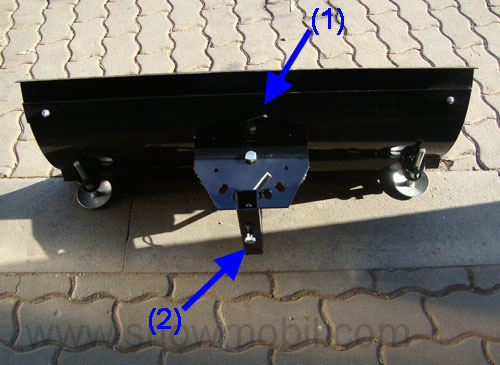 Main page » Two wheel tractors and Implements » Implements » Universal-snow plow 100cm for walk-behind/two wheel tractor and sickle bar mowers etc. 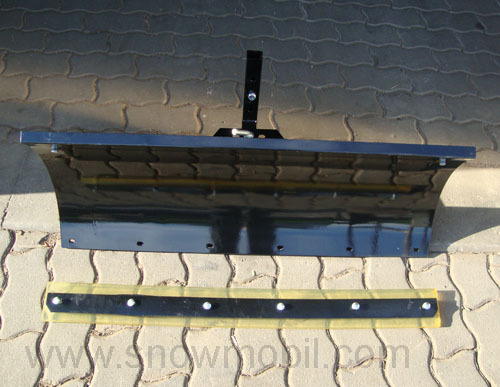 Universal-snow plow 100cm for walk-behind/two wheel tractor and sickle bar mowers etc. 115,00 EUR 19 % VAT incl. Treat yourself a quality snow blade that is sold in Germany for years. It is well welded. 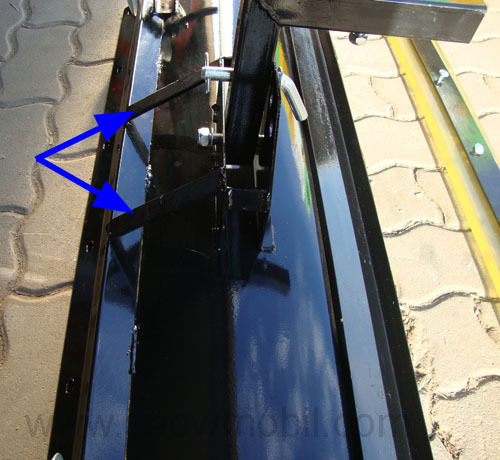 It is powder coated - not coated with anti-rust paint!!!! 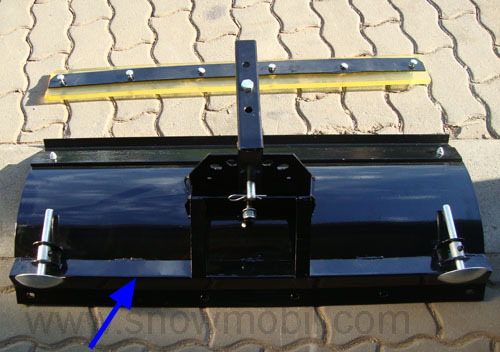 The height of the snow plow is 40cm. 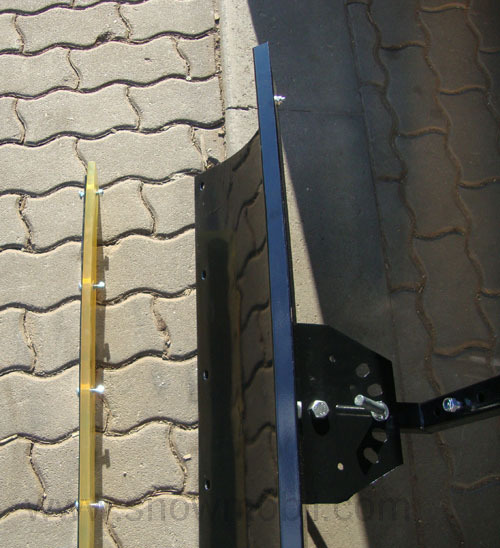 The shield is completely powder coated and 5x pivotable, all other parts are galvanized. 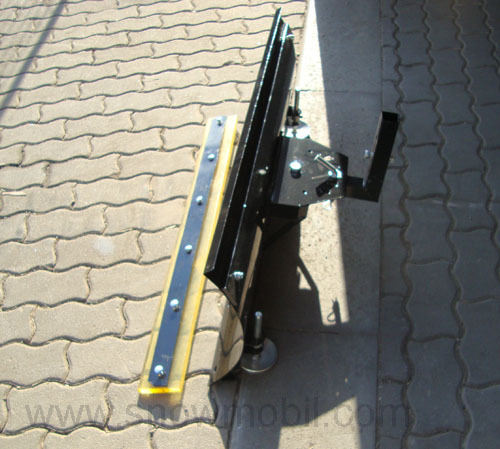 The abrasion-resistant polyurethane scraper is included. This bar has a thickness of 10mm! 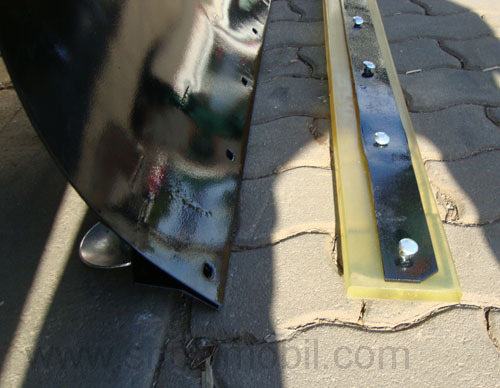 Our snow blade is high quality, bit heavier and therefore more expensive in shipping. 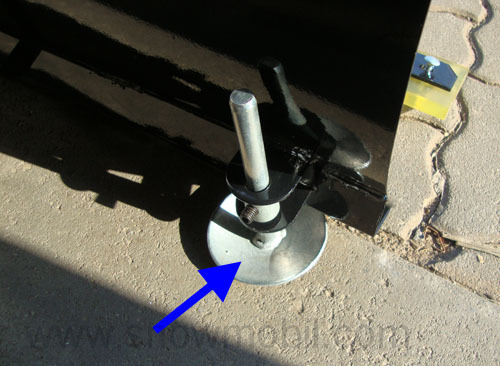 Here, the adapter can be connected - depending on the height of the wheels. For a surcharge we can supply an adapter too. For this we need from you the exact data (pictures, nameplate, etc.) of your device.